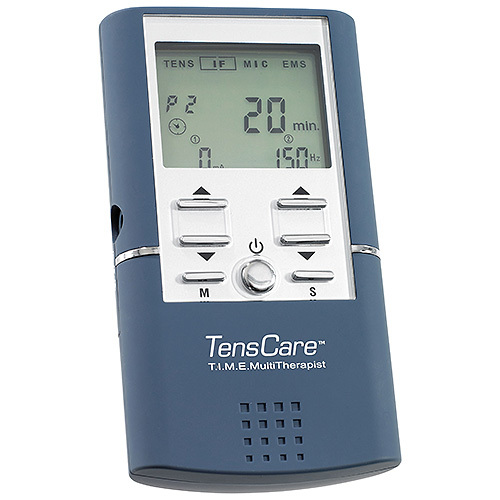 TENS: is a well established method of pain relief for musculoskeletal pain and can be used for many hours a day to give long lasting relief from pain. INTERFERENTIAL: is a penetrating therapy to treat deep seated pain and reduce swelling and inflammation. MICROCURRENT: is an increasingly popular modality that enhances and accelerates healing, and relieves pain and swelling in as little as 10 minutes treatment per day, with a stimulation that creates little sensation. 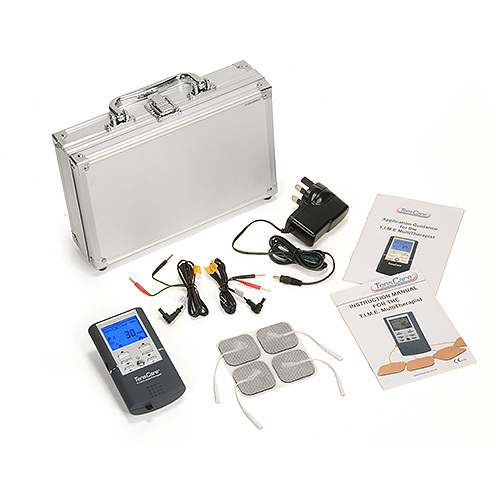 EMS: is electrotherapy that works muscles for rehabilitation, fitness, and improved circulation. The TIME Multitherapist has 12 versatile programmes, with a wide range of manual settings for each. The choice of treatment modalities means the Multitherapist can help with a wide range of patients and problems. 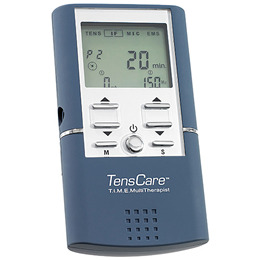 Below are reviews of Tenscare T.I.M.E MultiTherapist by bodykind customers. If you have tried this product we'd love to hear what you think so please leave a review. Tens is a well established method of pain relief for musculoskeletal pain and can be used for many hours a day to give long lasting relief from pain. Interferntial is a penetrating therapy to treat deep seated pain and reduce swelling + inflammation.